I'm definitely not winning any races with my block making pace on this project, but I'm holding on. 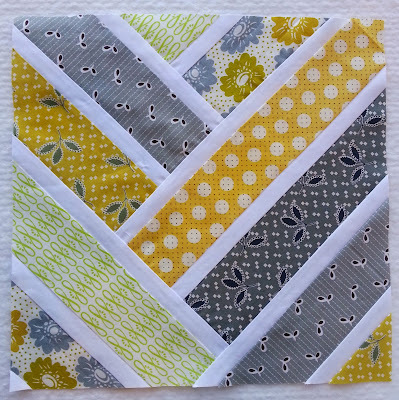 My latest block is called Broken Herringbone. It's an easy block with some fancy cutting that uses 2.5 inch strips. 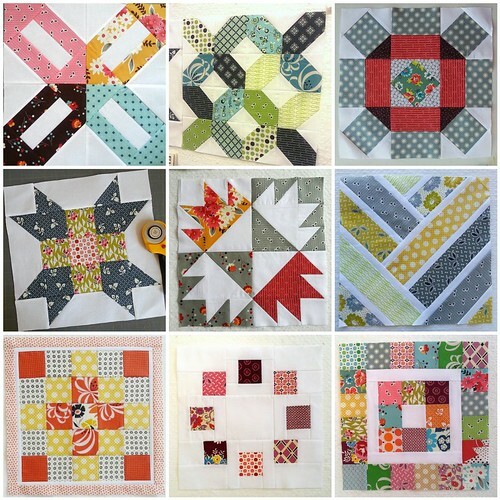 Pinterest Sampler Blocks 1-9, a photo by simple girl, simple life on Flickr. With this latest block I'm up to nine blocks. I'm thinking I'll need to make a total of 30 blocks to end up with a nice sized quilt, so I'm on my way. I love this block! I have about 6 or so of them made. Easy once you get the hang of it! What a wonderful way to make a sampler quilt. I just finished a QAL of the broken herringbone block. Still needs to be quilted. Thanks for the idea! Can't wait to see what other blocks you make.